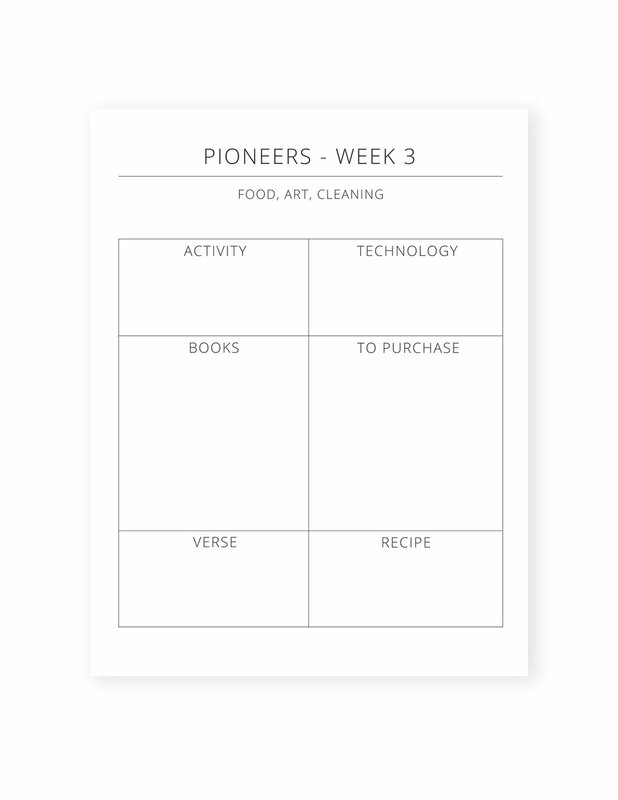 These free Planning Sheets were born out of the desire to offer you a simple and easy way to plan your 30-week Playful Pioneers curriculum. 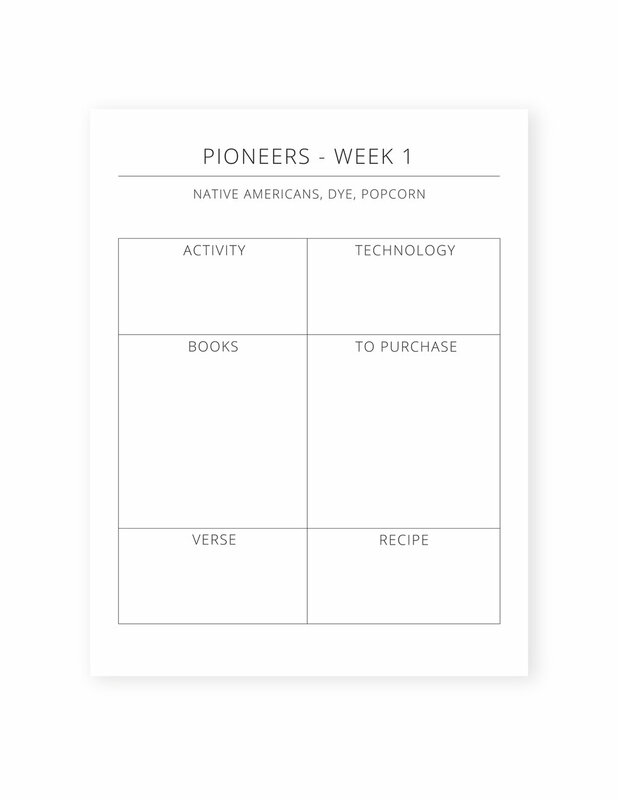 Each page has the weekly themes listed at the top for easy reference, as well as a planning grid for various parts of your week, including: Activity, Technology, Books, To Purchase, Verse, and Recipe. Included are thirty print-ready documents ranging from weeks 1-30 in the simple and easy to print design you've come to know with The Peaceful Press. Reference these Planning Sheets as you look ahead to an exciting new year! i'd love my free planning sheets! SHARE THE PLAYFUL PIONEERS: Planning Sheets!